For my birthday my lovely wife signed me up for the IAM Skills For Life course, something I’ve wanted to do for a while which should really help improve my riding. On Sunday I attended the first day of the course – the machine control day. 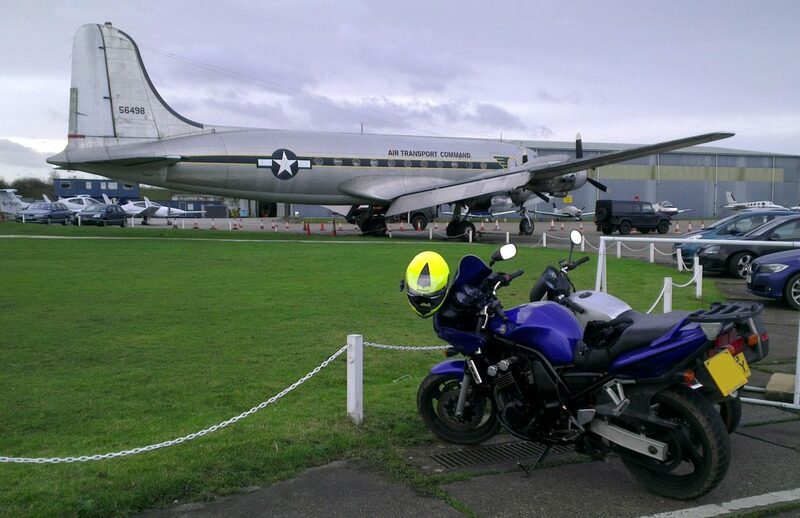 Out on North Weald airfield I was practising some key riding skills; low speed riding, balance, emergency stop, counter steering and so forth. 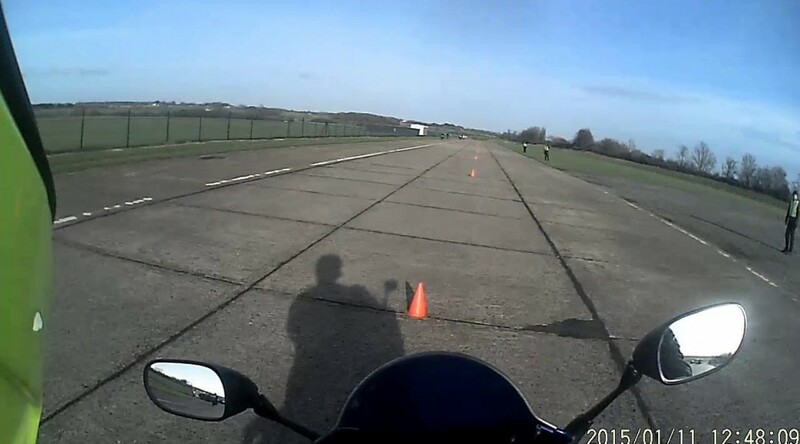 The riding was not easy, but really useful to practice in a safe environment off the road and quickly highlighting some bad habits I’ve fallen into (in particular how I cover my front brake). There were loads of IAM observers on hand to help, give encouragement and ask the right questions to aid us pinpointing our own mistakes. The low speed riding was particularly daunting, full lock to lock turning at 1-2mph, no feet down. I found I could turn fairly tight OK, but struggled at such low speed. On the emergency stop in a very short distance, I ran into issues using too much rear brake and from covering the front brake with just my index, ring and small fingers (don’t ask how I got into doing this!) Previous off’s have been from locking the front wheel with excessive brake, so overcoming this to brake progressively was tough. Definitely something I need to practice further. It was also good to catch up with other bikers also learning, there was a positive and encouraging atmosphere all round. Then to finish off, a couple of us had a slap up all day breakfast in the local NAFI. Next up I have some theory nights to attend and a few observed rides. Really looking forward and can’t wait.